If you are looking for a way to grow your business and increase the sales then you need to know that the best way for you to do that is by advertising smarter. Among so many media types for advertising, buying and selling, discovering all the information you need such as locations, dates and more can be quite confusing. Here is where the right business app can help. We searched and we found for all advertisers, media buyers and sellers the right business platform. Let’s see what the app is about. What is Gainbuzz all about? Developed for both iOS and Android users, Gainbuzz is created for all media buyers, media sellers and advertisers that like to bring their whole online media sales process. The app is simple and yet highly efficient, offering the users to discover detail information on 1000s media types like locations, rates, availability and much more the user needs at his fingertips whenever he wants. 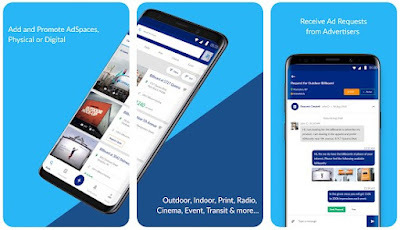 Using the business app allows the users to list, discover and book local advertising spots by using mobile and web applications, enabling smarter, faster and better media planning and buying. The Gainbuzz has to offer media buyers, media sellers and advertisers features that are specially created for every one of their needs. Using the app by media sellers and media buyers they are able to connect with different marketplace applications and enable a smarter and faster media buying and planning. The advertisers and the media buyers with the app can use for creating a buzz, reaching a mass audience or direct locals to their front door, achieving their business goal more easily and efficiently. The media buyers and advertisers with the app can request media asset information they’ve browsed and launched an entire campaign on the go too. The app has a Pro version for media sellers which offers them to manage their asset inventory, focus on business grow, gain visibility, generate more business and enhance their ROI as well. On the app the media sellers can even add media assets and their availability up to date, to receive notifications for inquiries and book requests, creating proposals and promoting to potential advertisers, organizing conversations and adding contacts, to manage accounts and bookings and even receive and send payments as securely as possible. Download it now on Google Play and App Store for free to advertise smarter and grow your business!